The Regional District of Nanaimo collects solid waste for the City of Parksville. Need some information about what you can put into your curbside containers? The Materials Preparation Guide can help. Blue boxes and recycling bags can be purchased through Progressive Waste Solutions (formerly BFI Canada Waste Management). Their office is located in the Industrial Park at 1151 Herring Gull Way, Parksville. Collection Route Lookup and What goes where? Garbage, food waste and recycling collection information is available here. The Church Road Transfer Station, located at 860 Church Road, Parksville, receives residential and commercial waste (School District 69). The Transfer Station is open daily 8 am to 5 pm and closed on statutory holidays. Weekly green bin food and kitchen waste collection is underway for all single family homes in Parksville, Qualicum Beach, Lantzville, City of Nanaimo and in Regional District of Nanaimo Electoral Areas. Since the Green Bin Program started in 2010, the average household has diverted almost 2.5 kilograms of food and kitchen waste per week. Instead of going to the landfill and generating greenhouse gases, organic material is transformed into soil enhancing compost. Line your containers with newspaper, paper bags or certified compostable bags or place your scraps in loose. No plastic bags, plastic containers, Styrofoam, metal or glass in the green bin. 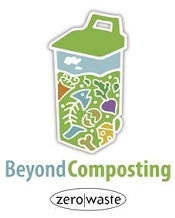 For more information on the Green Bin Program, please visit www.beyondcomposting.ca.